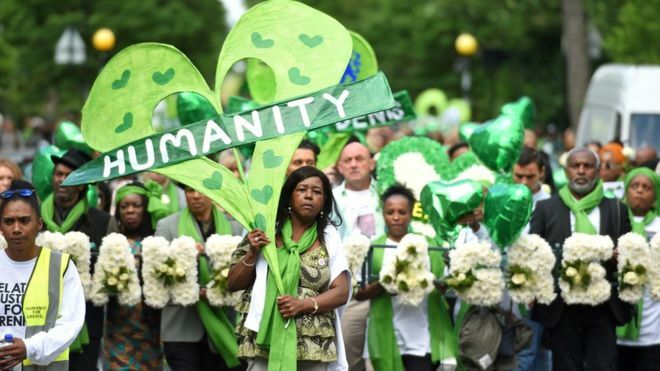 Hundreds of people have taken part in a silent procession in honour of the 72 people killed in the Grenfell Tower fire a year ago. 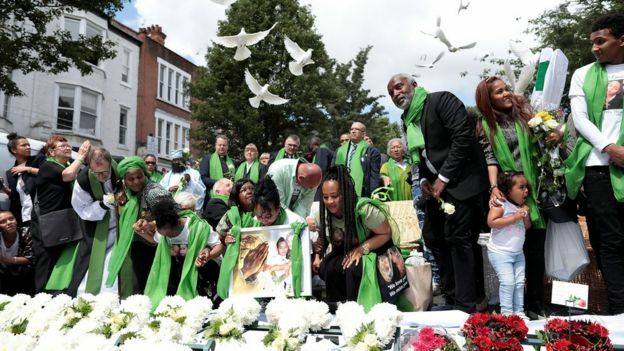 It came after a memorial service at a church near the west London tower where the names of the victims were read out and bereaved families released doves. The Bishop of Kensington said people were still "recovering" and seeking answers but there was "positivity". 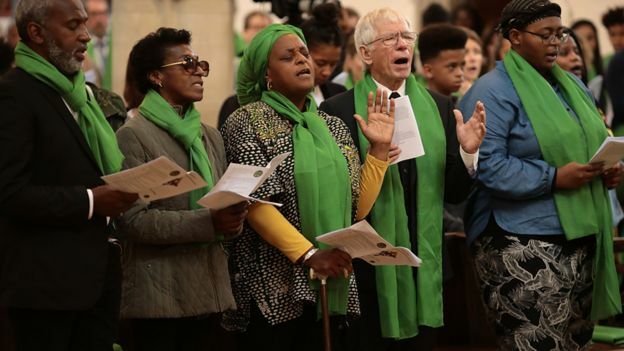 A 72-second national silence was also held at midday. The silence was observed across the country, including at government buildings, Parliament and by the Queen and the Duchess of Sussex on a visit to Chester, where the monarch wore green in honour of Grenfell victims.